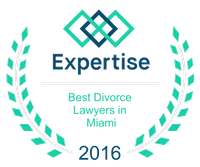 Articles | Miami Family Lawyers Vilar Law, P.A. 2018.4.3: Thinking About Self-Representation in Court? 2018.3.12: What is a Simple Divorce? 2018.1.3: When is a Prenuptial Agreement Needed? 2017.10.17: How Does a Positive Drug Test Impact Child Custody? 2017.7.31: Why Should Someone Get a Prenuptial Agreement? 2017.7.24: Why Should Someone Use a Life Insurance Trust? 2017.7.19: How is Debt Divided in a Divorce? 2017.6.19: What's The Estate Tax? 2016.11.28: First to File: Are There Legal Reasons You Should File for Divorce First?